The Wall Mount and Swage Stud Turnbuckle fits wire rope sizes 1/8″ to 3/16″. 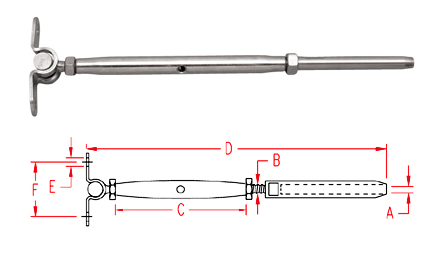 This turnbuckle features a wall mount, swage stud, UNF threads and closed body style. It is made from grade 316 stainless steel for maximum corrosion resistance and durability.